While a shocking 8 out of 10 new businesses fail, they generally fail for some common reasons. The most successful businesses also share key traits. Having a successful company is not just about a healthy bottom line. Other factors, such as employee satisfaction and environmental impact are becoming relevant factors in the health and success of a business. If you want to run a healthy business, here are a few things to think about. Everywhere you turn, there are innumerable books, courses, and videos aimed at helping you grow your business. Often, the basis of these resources has to do with making your business more visible. Yet, some of the most important work you will do when building a business will happen in near anonymity. The pull of these books and courses is the idea of “overnight success,” which we all love to believe in, but there is no such thing. A researcher named John Hayes from Carnegie Mellon University wanted to know just how long some of the most famous composers had to struggle in complete anonymity before producing some of their greatest masterpieces. He came up with the phrase “10 years of silence,” because it turned out that they had to put in 10 years of practice before becoming an overnight success. Malcolm Gladwell popularized the notion of 10,000 hours of practice. Neither of these numbers is a concrete, hard-and-fast rule for business. But if you want to build a solid, long-lasting and successful company, prepare to do a tremendous amount of work in almost complete anonymity to make it happen. The biggest reason that patience is so important is that there are two kinds of growth: growth you can see and quantify and growth you can’t. Often, it is the growth you can’t see and quantify that will determine the ultimate health and success of your business. Think of it this way. When you plant a seed, it may be several months before you see any growth. That doesn’t mean that seed hasn’t been laboring away below the surface of the soil where you can’t see it. What it has been doing is developing a strong root system that will help it sustain upward growth once it breaks through the soil where you can see it. That root structure that sustains upward, visible growth for the plant is the same root structure that is critical for your business. Before you increase production or expand product lines, you need to make sure you have good, stable relationships with reputable suppliers. Before you increase your consumer base 100-fold, you need to make sure you have a solid team in place that can handle the increase without buckling under the pressure. Ego-driven leadership is one of the most critical factors in the health of an organization. Ego-driven leaders depend on the notion that the organization cannot function without them. In most cases, they will work to ensure that this is the case. Leaders who are not ego-driven have a goal of making themselves redundant. They want the business or organization to function fine without them. As a result, they do everything they can to teach, train and safely document their experience. They make it their mission to train up leaders that can take over in their stead. Some of the most successful businesses and organizations have several teams of leaders all working together in tandem that are all capable of stepping up and taking the most senior role at a moment’s notice. Even better, because the other leaders are not ego-driven and don’t need the top slot, they will rally around the new senior leader, whoever it may be. Switzerland is a country most notable for their lack of international alliances. To do this, however, Switzerland had to be self-reliant. Unlike other countries, Switzerland can’t look to other countries for aid in a crisis, because they maintain no alliances. While this may seem like an untenable position to put yourself in, it’s one of the healthiest models for business there is. Because Switzerland is self-sustainable. Switzerland is not the home of rock stars and celebrates. Switzerland is a country of somewhat average citizens all working hard and doing their due diligence to maintain their independence. When you are building a team that is going to carry your business into the future, this is what you are looking for. Employees looking out for the good of the company, not just their own personal benefit. You want supervisors and managers that are more concerned with building a healthy, productive team than in increasing their own stature or rank within the company. Some of your best employees will not be superstar performers. They will be hard workers who keep their heads down and turn in consistent, adequate work day after day after day. There is nothing wrong with wanting to run a large, successful business. It is doubtful that anyone ever starts a business without the aim of making it a successful one. What is often overlooked, however, is that there is no such thing as an “overnight success.” It doesn’t happen. What happens is that businesses, musicians or individuals do get noticed overnight. 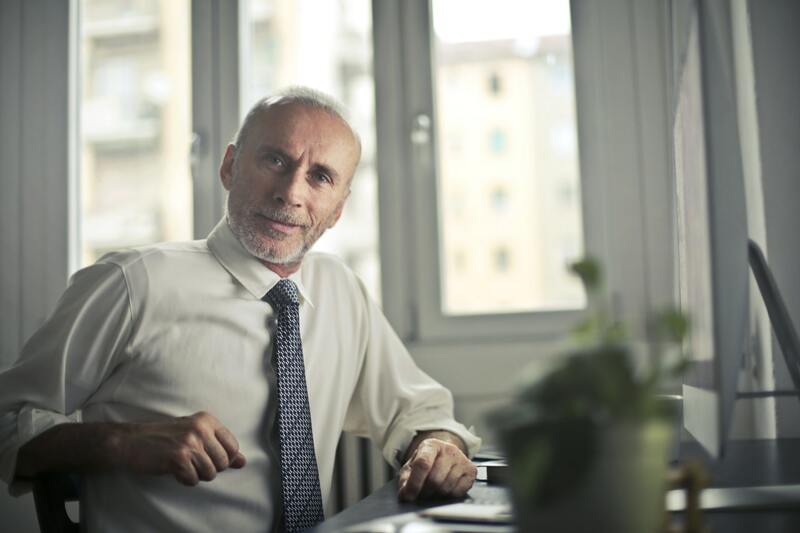 The ones that parlay that sudden attention into a long and successful career, however, are those that have spent a good decade or more preparing themselves for that attention. When it comes, they know how to use it because they are ready for it. They spent years preparing for it.